One thing I really, really enjoy is a good, and I mean GOOD pulled pork. There are so many options with a big 'ol pot of pulled pork. But I am also simplistic in that I want to enjoy the flavor of the pork or add sauces later. I am a master, and I kid you not, at ribs. Best ribs ever. Really. But I have always found pork roasts to be dry and hard to chew. I want it soft, tender and moist. So this is what I did...and frankly, I nailed it. If you don't have a big smoker, and I don't, this is great because you can get the same result. Make sure the pork roast is room temperature. This is key. It allows for even cooking and allows the fat to render slowly. Generously coat the pork shoulder with the salt and pepper and rub it evenly. Place the pork in a stock pot large enough to hold it and put a lid on. Place the lid on and cook in it in the oven for 8 hours. Remove and allow to cool. NOW...place the pork in the fridge for a day. 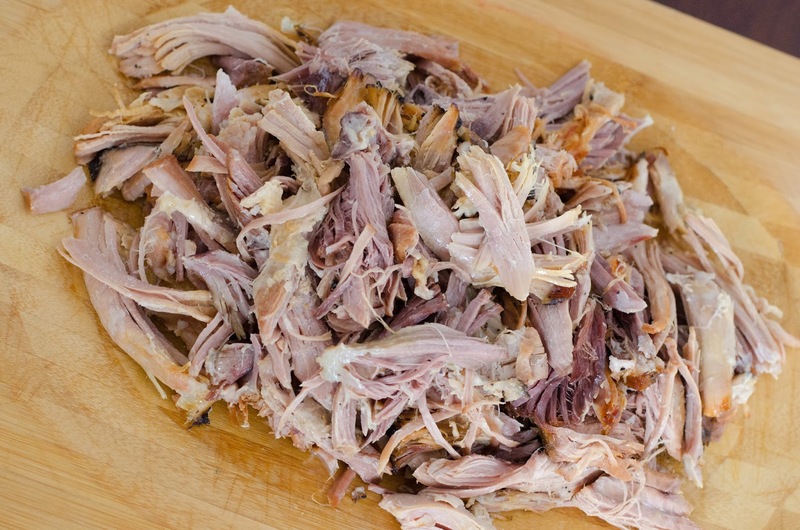 Turn the pork roast one or twice during that time to allow juices/fat to redistribute into the pork. A day later, preheat oven to 250 degrees. Put the pork back in the oven and cook an additional 4-6 hours depending on the size of your roast. You'll know it is done when it is falling off the bone. I promise it will take every bit of restraint you have to not eat every little piece. Really. And what do you do with the pork now? Well, last night I tested a tamale recipe. Testers are trying them today, so we'll see!